Contemporary artists respond to the world around them – to the northeastern landscape that they call home or to the political landscape that it seems we cannot escape from today. They respond to the earth – a bend in the river, iron ore from its depths, its color and contrasts. They respond to the feelings that we have as humans – momentary isolation or inequality in some shape or form. 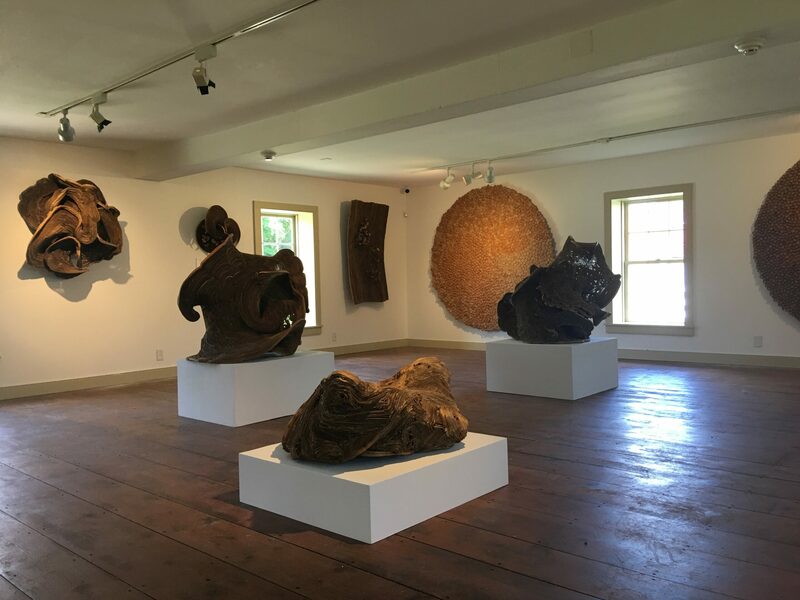 This exhibition explored the connection between artists today and an historic utopian movement in the Berkshires, a place both have called home. Gregory Crewdson’s work explored isolation, with an interior photograph from a Berkshire county industrial building that closed like so many others. Beautiful and unique, this one of a kind 8 x10 black and white Polaroid has never been exhibited, and is part of the artist’s personal collection. The image depicts one of the artist’s Beneath the Roses sets, shot on the sound stage at MassMOCA in North Adams and truly captures the architecture of the Berkshires. Stephen Hannock exhibited The Great Falls at Dawn for Xu Bing (2013). The work is 12 feet long, in polished mixed media on canvas and offers the viewer a vista with text and collage. It is a celebration of what Hannock believes to be the two most dynamic works of industrial art in North America at the time: Xu Bing’s “Phoenix”, which was on view in 2013 at the Massachusetts Museum of Contemporary Art in North Adams, and Niagara Falls. Other stories alluded to in text woven throughout the painting involve the likes of Maya Lin, Mark Bradford and Chuck Close. Close’s “Adam and Eve” daguerreotype, hidden in the foreground rock formation was modeled for by the artist and his late wife Bridget Watkins Hannock. David Teeple, based in Northampton, MA created a site-specific sculpture for this exhibition that incorporated aluminum beams and glass tanks filled with water. His piece responded to the Shakers’ use of water, paralleling aquaducts that run under the entire village. 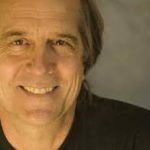 Teeple, a working artist since 1980, explores water through his art: the impact it has on our lives, on the environment, on the economy and in politics. Jenny Holzer’s “truisms” and pieces from her survival series echo thoughts that many people may have and do not often express outwardly. She uses the medium of writing and the public’s reception of her words and ideas are vital to her work. At HSV, her marble benches and metal wall plaques offered comments on fear, crowd mentality and kindness. Don Gummer’s sculptural wall reliefs juxtapose floor plans from different types of buildings to create a whole that commented on architecture in all of its forms. His Atelier Jianshu Over R.M. Schindler’s Packard Residence (2005) is a Chinese studio plan overlaid on the plan of a two-storied Schindler house. Schindler was an architect who was against ornament, and focused on “space architecture.” A more personal wall relief is Blue House Without Ghost (2004), where Gummer has laid out the most straightforward plan for his own nineteenth century guest house, proving to his wife that there is nowhere within it for ghosts to reside. 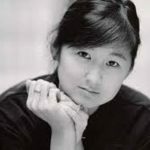 Maya Lin is an architect and sculptor, most notable for her design of the Vietnam Veterans Memorial in Washington, DC, completed in 1982. In recent years, Lin has turned towards more natural elements in her work. Her site-specific wave fields sculpt the natural landscape into a rolling sea of grass. Her “river pieces” crawl up walls and expand over floors to give the feeling that water is moving and alive. Glass pieces add to the sense that actual water droplets are reflecting light throughout the space. 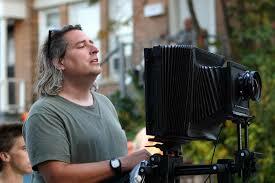 GREGORY CREWDSON is a photographer and filmmaker. His photos are often elaborately staged scenes of surreal situations in American homes and neighborhoods. Series such as Beneath the Roses (2007) create cinematic images from apparently ordinary interiors. 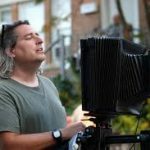 Crewdson has exhibited at venues such as the Guggenheim in New York and Bilbao, the National Gallery of Victoria in Australia, and the Museum of Contemporary Art in Tokyo, Japan. His haunting photographs are highly sought after, and have been acquired by museums including the Los Angeles County Museum of Art, CA, Museum of Modern Art, NY, and the Whitney Museum of American Art, NY. 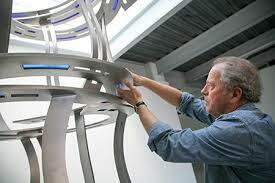 DON GUMMER works in a variety of mediums, though his monumental pieces of swirling metal may be among his most recognized sculptures. 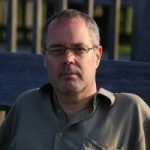 His work has been exhibited extensively in museums and galleries, public venues, and through commissioned pieces in the US and abroad. Commissioned works include Primary Compass (2000) at Butler Institute of American Art in Youngstown, Ohio, and Southern Circle (2004) at the Meridian Street Plaza in Indianapolis, IN. 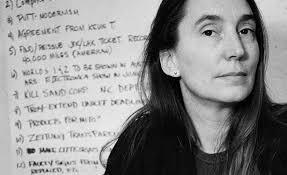 JENNY HOLZER is an installation and conceptual artist, utilizing the medium of writing and the public’s reception of her words and ideas as part of a social and cultural experiment. 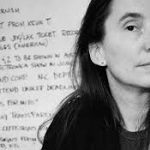 Since the late 1970s, when her Truisms and Inflammatory Essays were first posted anonymously around New York City, Jenny Holzer’s work has spoken out about many topics, including violence, oppression, sexuality, feminism, war, and power. Her large-scale outdoor light projections in public locations use phrases that question contemporary issues. She was the first female artist chosen to represent the US at the Venice Biennale in 1990, for which she won Golden Lion Award for Best Pavilion. Her work has been exhibited worldwide in museums and public spaces. 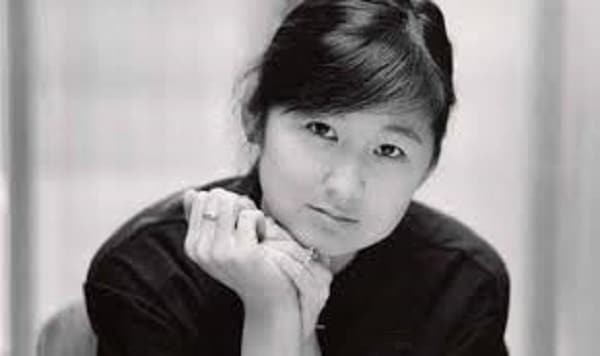 MAYA LIN is an architect and sculptor, creator of the Vietnam Veterans Memorial in Washington, DC, completed in 1982. Born in Ohio, Lin studied architecture at Yale University and Harvard University, and took time off to work in the field during graduate school. Best known for her moving memorials, in recent years, Lin has emphasized sustainability in her art. She began to incorporate more natural elements into her work. Site-specific land art has produced pieces like her shaped fields that sculpt the natural landscape into a rolling sea of grass. Awarded the National Medal for the Arts in 2009, she was also honored in 2016 with the Presidential Medal of Freedom. DAVID TEEPLE is a sculptor based in Northampton, MA. Teeple was educated at Hampshire College and the Philadelphia College of Art. Teeple’s art-making is formally centered around water – its fluid memory as it moves, divides and rejoins, the way people perceive its transparency and work to contain it. Teeple makes sculpture that holds water and installations that rest on the surface of the water. 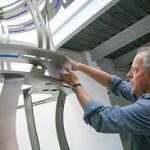 His work can be seen in public, private and corporate art commissions and collections throughout the US, France, New Zealand, Germany and Spain, among others. 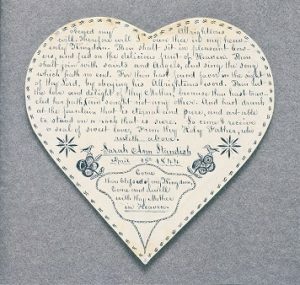 Opening in May 2018, Hancock Shaker Village will exhibit its rare Shaker “gift” or “spirit” drawings for the first time in decades. Mysterious, decorative, and ornate (the opposite of what we think of as Shaker design, which is experiencing strong interest currently), the drawings were not shared outside the Shaker community. The Shakers’ ban on ornamentation exempted the drawings, because they were never meant to be displayed. The work is startling and complicated, unique to the Shakers and to American religious culture as a whole. The gift drawing collection (1843-1857) at Hancock is widely considered one of the finest, containing 25 of the 200 gift drawings extant in public and private collections today. It is thought that hundreds more drawings once existed, but were destroyed by the Shakers when their creators died. Anything but Simple includes the most famous gift drawing – Hannah Cohoon’s 1854 Tree of Life — and examines the drawings as they relate to women and their role as spiritual “instruments” in Shaker communities in the mid-19th century. Dense with detail, colorful, and ornamental, these drawings are not what we have come to expect of Shaker visual culture. But then again, the Shakers were radical, with an optimistic faith in human betterment and the possibility to obtain utopia on earth through hard work, utility, integrity, and dedication. At their peak in the early 19th century, there were perhaps 6,000 members scattered in some 20 villages from Maine to Kentucky. It’s remarkable to think that such a small sect left such a legacy of design and moral clarity. Generously supported by Balance Rock Investment Group and The Dobbins Foundation. 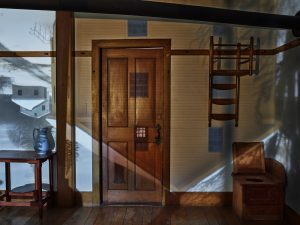 Inspired by the American artist Charles Sheeler and his fascination with the architecture and objects made by the Shakers, Abelardo Morell embarked upon a quest inside the 1830 Brick Dwelling to capture the nature of illumination – the fleeting light and shadow in the spaces that the Shakers once inhabited. Creating a camera obscura (sometimes referred to as a pinhole camera) in period rooms, Morell attached a lens on a window in a darkened space to bring exterior light and views to interior spaces, which resulted in images reflected upside down onto objects set against the opposite wall. Through this process, common artifacts and buildings become intriguing new compositions. The artist also experimented with shadows and light, capturing their plentiful radiance as they flood the building and wrap around the furniture. Morell finds new ways to envision the forms, spaces, and lines of the Shaker environment, shaping the viewer’s perception with respect and imagination. 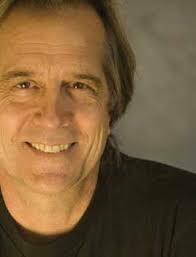 Born in Havana, Cuba, Morell immigrated to the United States with his parents in 1962. His work has been collected and shown in many museums, including the Museum of Modern Art, the Whitney Museum of American Art, the Metropolitan Museum of Art, the Museum of Fine Arts, Boston, and the Victoria & Albert Museum. The author of many books, the artist’s most recent body of work, Flowers for Lisa, will be published by Abrams in October 2018. 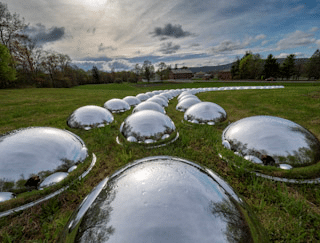 In conjunction with the opening of the historic silos in 2018, New York-based conceptual sculptor Marko Remec created Monodic Flow – an outdoor installation of convex mirrors that cascades down the hillside at Hancock. The path of mirrors echoes the flow of water in the underground aqueducts that the Shakers laid in 1818 from a reservoir at the top of the hillside to the village below. Water then powered their machinery, supplied the laundry, and afterward drained into distant fields to water the cattle and livestock. Nothing was wasted by the Shakers, and the aqueduct is still in use today. A monody is a song sung by a single voice. Early Shaker music was sung in unison without instrumental accompaniment, the voices of the community coming together to offer a single prayer to God. To Remec, the Shakers’ presence in American history was like a lone melody against the bustle of society around them, spiritually and culturally. Monodic Flow features over 160 dome mirrors, 32 inches each, stretching over 200 feet. Marko Remec is a graduate of Williams College with degrees in Studio Art and Chemistry, Remec earned his MBA from Stanford University’s Graduate School of Business. A keen observer of the human condition, Remec translates firsthand experience to conceptual sculpture with a wry yet playful wit. 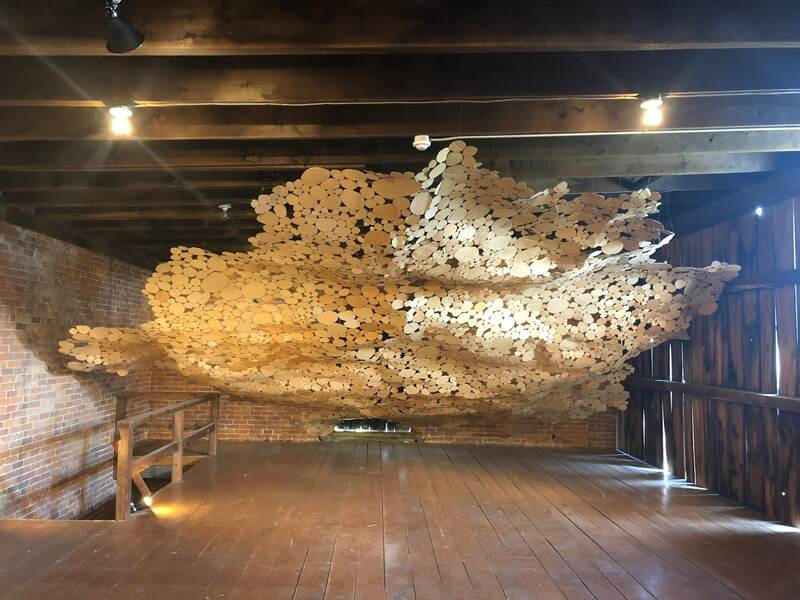 Remec’s work has been shown at museums and sculpture parks including MASS MoCA, LongHouse Reserve, Chesterwood, Museo de Arte de Ponce, Salem Art Works, and the Hudson Valley Center for Contemporary Art. Henry Klimowicz creates art out of cardboard, making remarkable sculptures from an ordinary material. The cardboard retains some text, helping the viewer reference its origins as a packing material while admiring its dramatic new identity. People sometimes place a value on art based on the material – a marble sculpture, a gold chest – or by their emotional or intellectual relationship to it. Klimowicz asks the audience to give cardboard value. Klimowicz feels a kinship with the Shakers, who repurposed materials to suit the needs of the community, and paid close attention to detail. He finds their devotion to the beauty found in a simple existence admirable, and tries to emulate it in his work. Henry Klimowicz’s work has been exhibited at museums and art spaces such as the James A. Michener Art Museum (Doylestown, PA), the Wassaic Project (Wassaic, NY), Mizu (New York, NY), and the Morrison Gallery (Kent, CT). He created the Re Institute, a gallery based in a 1960s hayloft above his own barn studio in Millerton, NY. This experimental gallery space specializes in group shows of artists working in several mediums, which allows for the cross-pollination of ideas.